What is the biological basis for sleep, and how do neurons and molecules within the brain change while an animal is sleeping? What are the key neurons and molecules required for learning and memory? How are sleep and memory connected on a cellular level? And, do the molecules involved in learning also play a role in other kinds of plasticity, such as homeostasis? To answer these and other related questions, we study Drosophila melanogaster, also known as the fruit fly. From a human health perspective, gaining a better understanding of the biology underlying complex behaviors such as sleep and memory in Drosophila will provide insights which can be applied to the more complex mammalian brain. Research in our lab is therefore focused on elucidating the molecular and cellular processes that drive such plastic behaviors. The most interesting and informative way to study the nervous system is to examine its function from multiple angles. To that end, we take an interdisciplinary approach toward understanding the molecular and cellular basis of complex behaviors. The genetic tools available in Drosophila allow us to test our hypotheses at multiple levels, from intact neurons to freely behaving animals. 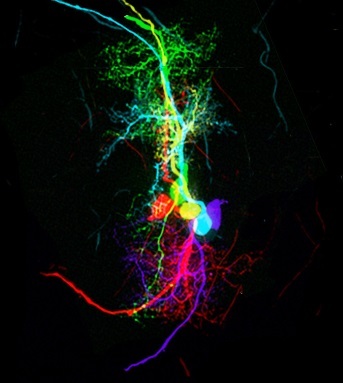 The lab works at three different levels: organismal (behavior, genetics), neuronal (electrophysiology, live fluorescence imaging), and biochemical (phosphorylation, gene expression, ion channel physiology). Our long-term goal is to integrate information from all of these approaches to build detailed biochemical and cellular models of how organisms generate behaviors in response to external and internal cues. 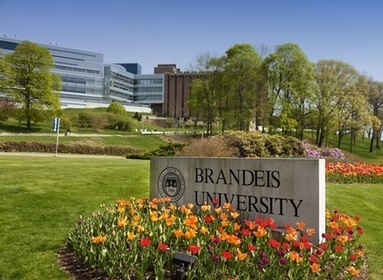 Our lab is located at Brandeis University, and is part of the Volen National Center for Complex Systems and the National Center for Behavioral Genomics. Brandeis has a very collaborative research community, and we work closely with the many other Drosophila labs on campus (and at other institutions), as well as other invertebrate groups.